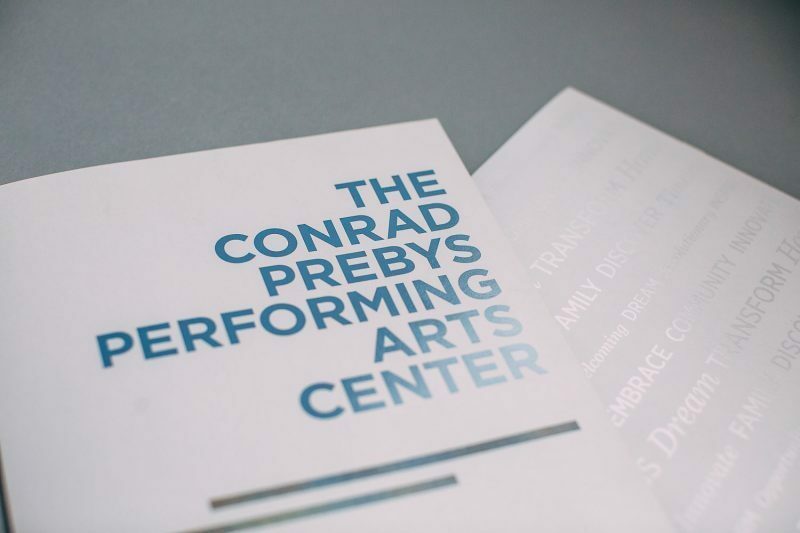 The La Jolla Music Society has taken the landmark step of building a new home for arts and cultures in San Diego – The Conrad Prebys Performing Arts Center. 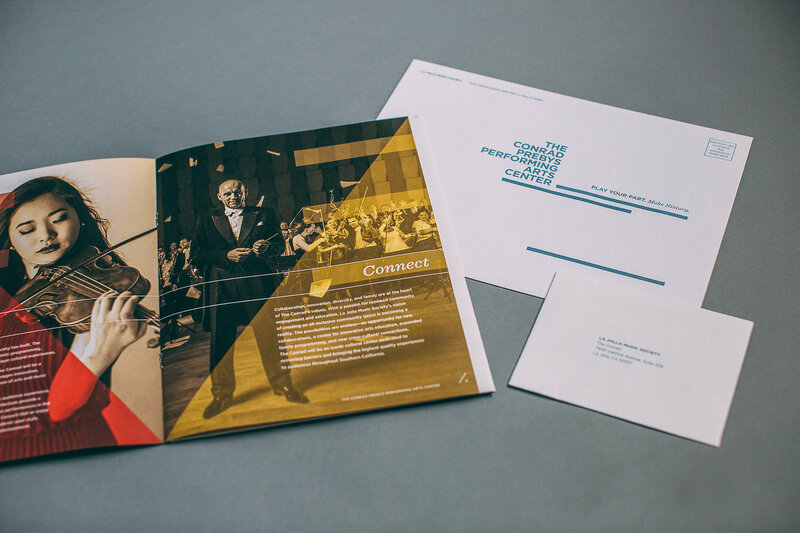 This beautifully designed brochure invites the community to: Play Your Part. Make History. Cover: UV four color process, spot dull varnish and spot gloss UV. Text and Inserts: UV four color process, two sides. Cover: 111 lb. Avalon Dull Cover. Text: 80 lb. Cougar Opaque Smooth Text. Inserts: 100 lb. Cougar Smooth Cover. Diecut cover and glue one pocket on the inside back cover. Trim, fold, gather and saddle stitch the text with the cover. Perforate, trim and fold the inserts. 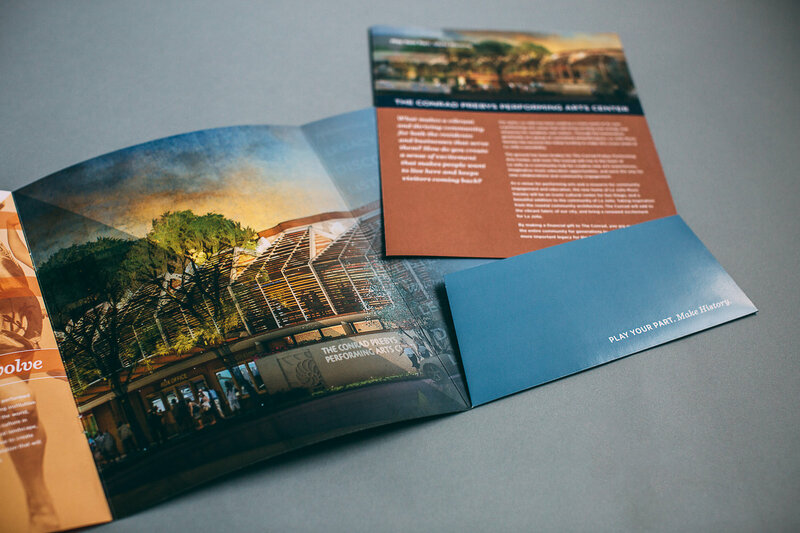 Taking advantage of UV printing technology, art director Tracy Meiners chose both coated and uncoated papers to introduce San Diego to the Conrad Prebys Performing Arts Center. The pocket folder/cover is printed on a dull coated stock with UV cured inks plus in-line spot dull UV varnish and spot gloss UV coating. The subtle use of the gloss/dull contrast highlights the message of community inclusion. The text pages and inserts are printed on an uncoated paper. UV cured inks dry before they’re absorbed into the sheet and produce vivid images while maintaining the organics look and feel of the uncoated stock. 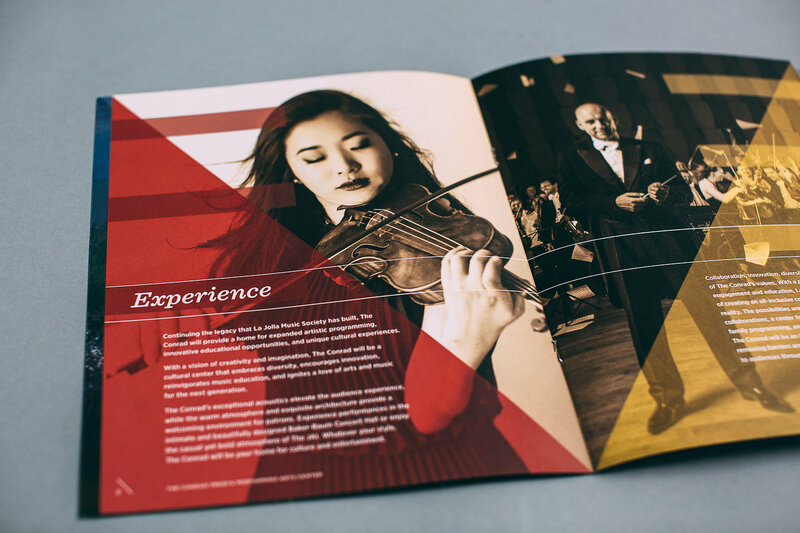 The La Jolla Music Society was looking for a top notch campaign kit for the launch of their new world class performance arts building. John and the entire team at Neyenesch Printers helped achieve our vision for the piece and collaborated with us to make sure all of the components came out beautifully. Everyone was thrilled with the final result. 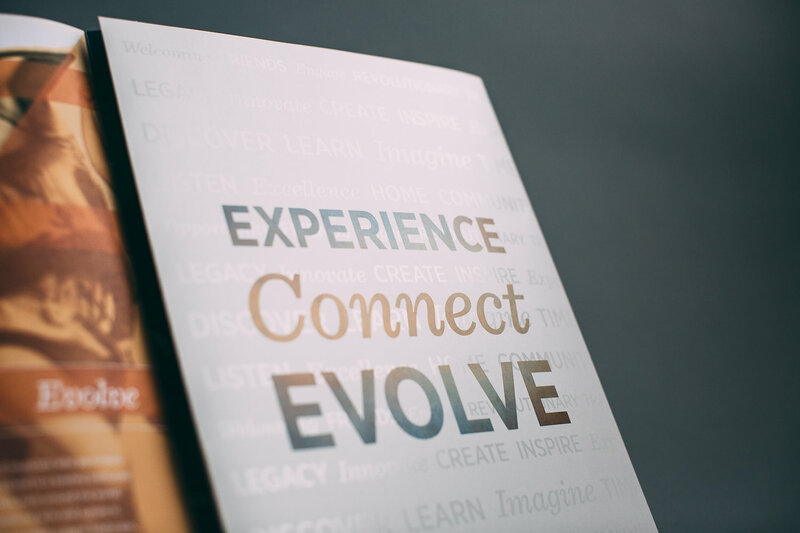 They always go that extra mile and stay on top of every detail from prepress to delivery.